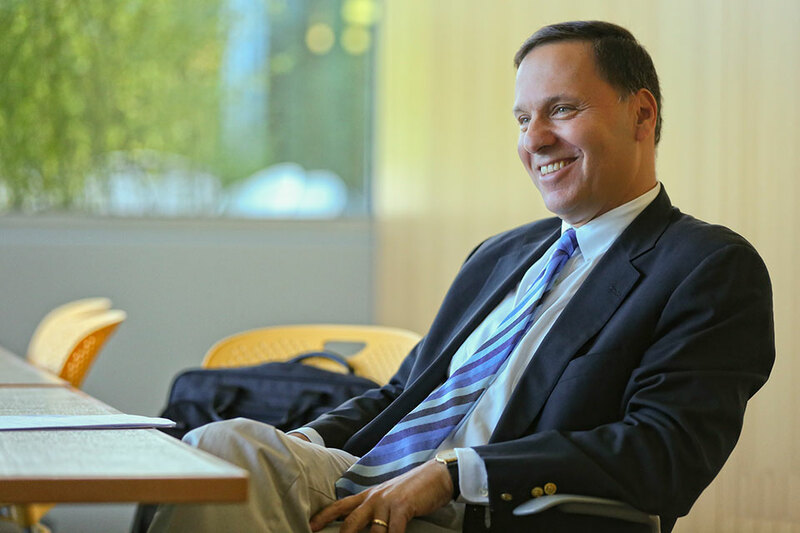 Ronald D. Liebowitz became Brandeis University’s ninth president on July 1, 2016. The former president of Middlebury College, Liebowitz is a recognized administrative leader in higher education, whose academic scholarship centers on political geography, Russia, and higher education. Brandeis is a medium-sized private research university with global reach, dedicated to first-rate undergraduate education and groundbreaking intellectual discovery. Founded by the American Jewish community at a time when many elite universities were discriminating against Jews and others, Brandeis is a secular institution animated by Jewish values, including a reverence for learning, critical thinking, and making the world a better place. 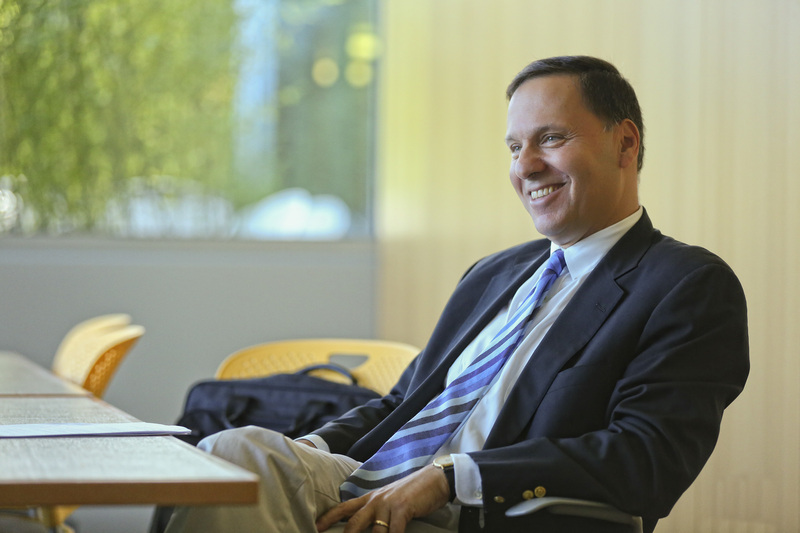 Under President Liebowitz’s leadership, Brandeis has reaffirmed its special role in higher education, and has ushered in a new era of transparency and accountability as it refocuses on the quality of the undergraduate experience and the intellectual strength of its faculty. In an October 2018 speech titled “A Framework for Our Future,” Liebowitz outlined an ambitious vision for the university. The vision calls for renewing support for the highest level of research excellence from its faculty; restructuring the student residential experience; and re-energizing the university's attention to its founding Jewish values. These founding values include emphasizing countering bigotry and prejudice, relentlessly pursuing justice to help improve the world, insuring openness to criticism and self-criticism even on its own values, and upholding unwavering reverence for learning. The New York City native served as president of Middlebury from 2004 to 2015. In all, he spent 32 years on the faculty of the liberal arts college in Vermont. Liebowitz had a transformative impact on Middlebury. Under his leadership, the college made enormous academic, programmatic, reputational, and financial strides, including the successful completion of a $500 million capital campaign, which surpassed its goal. During his tenure, Middlebury added 120 endowed student scholarships and 16 endowed faculty positions, acquired the Monterey Institute of International Studies, and opened the Center for Social Entrepreneurship as well as the School of the Environment, and led the institution to becoming carbon neutral 10 years after setting that goal. In 2009, Time magazine named Liebowitz one of the 10 best U.S. college presidents. Liebowitz earned a BA in economics and geography from Bucknell University, and a doctorate in geography from Columbia University. His scholarship has focused on fiscal federalism, intraregional economic relations, and the nationality question in the former Soviet Union. He has received a number of research grants, including from the National Council for Soviet and East European Research, the Kennan Institute/Woodrow Wilson Center, the Social Science Research Council, and the International Research and Exchanges Board. His current research focuses on higher education. He is now working on a multiyear research project with his wife, Jessica, on the dynamics of the higher education workforce and the future of doctoral education in the United States. The Liebowitzes and their children live in Newton, Massachusetts.